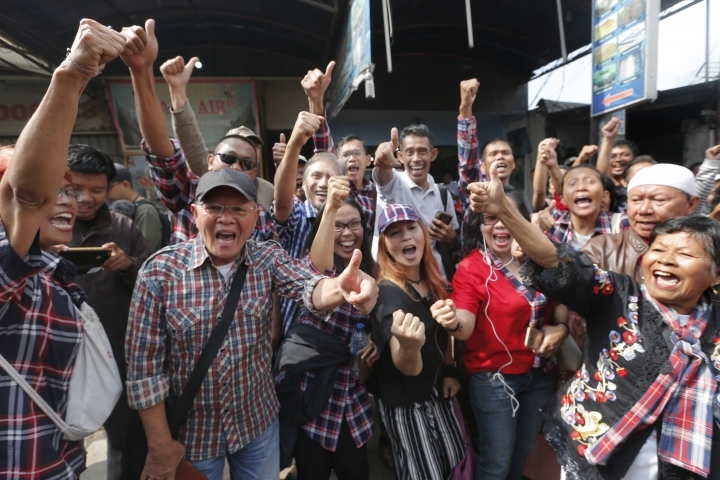 JAKARTA, Indonesia — A polarizing Christian politician whose campaign comments ignited the largest protests in years in Muslim-majority Indonesia was freed Thursday after serving nearly two years in prison for blasphemy. 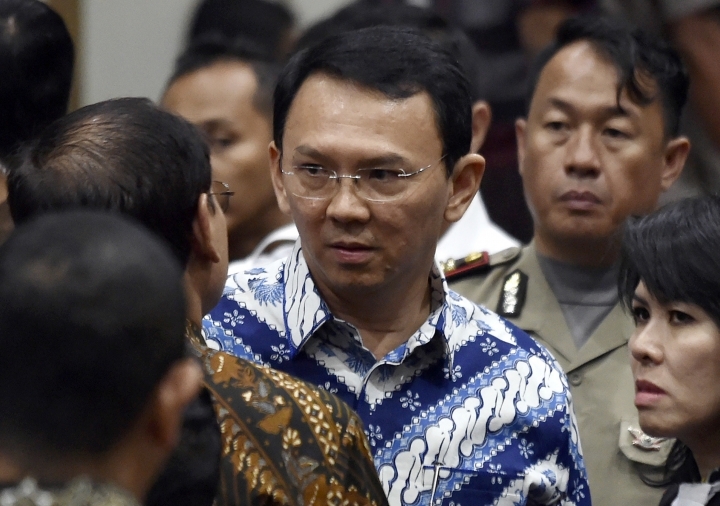 Basuki "Ahok" Tjahaja Purnama, the former governor of Jakarta, left a paramilitary police prison outside the capital early Thursday with members of his family, said his spokesman Sakti Budiono, avoiding waiting supporters and media. In 2016, Purnama made lighthearted campaign-trail comments that voters shouldn't heed his detractors who said the Quran prohibits Muslims from being led by Christians. Hard-liners seized on the remarks as blasphemy, triggering protests that brought hundreds of thousands of white-robed Muslims to the center of Jakarta. He was defeated in an election by a rival aligned with the protesters and sentenced to prison in May 2017 for blaspheming the Quran. Rights groups said the sentence highlighted why the easily abused blasphemy law should be repealed. Days before being freed, Purnama posted online that he didn't want supporters to make a fuss about his release and apologized to Jakarta civil servants, including "even my haters" that he'd offended by being rude and arrogant. 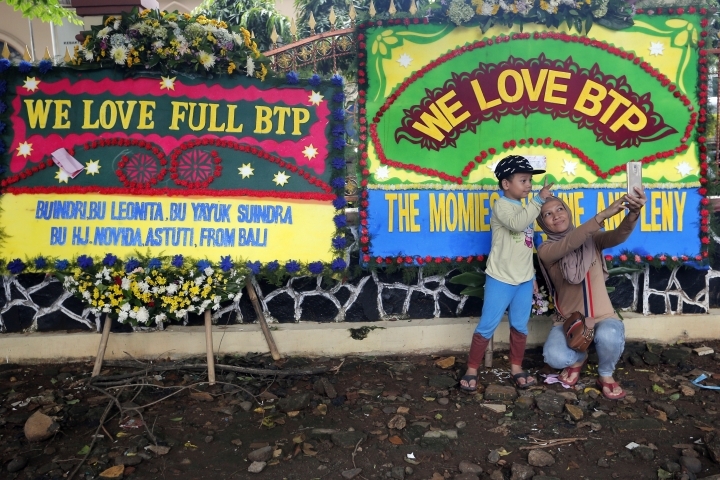 The movement against Purnama, an ally of President Joko Widodo, brought fringe Islamic groups into the political mainstream and rattled the government, highlighting the mingling of religion with politics in Indonesia, the world's third-largest democracy. Widodo subsequently chose a conservative cleric as his running mate for April's presidential election, hoping to deflect attacks that he is insufficiently Islamic. 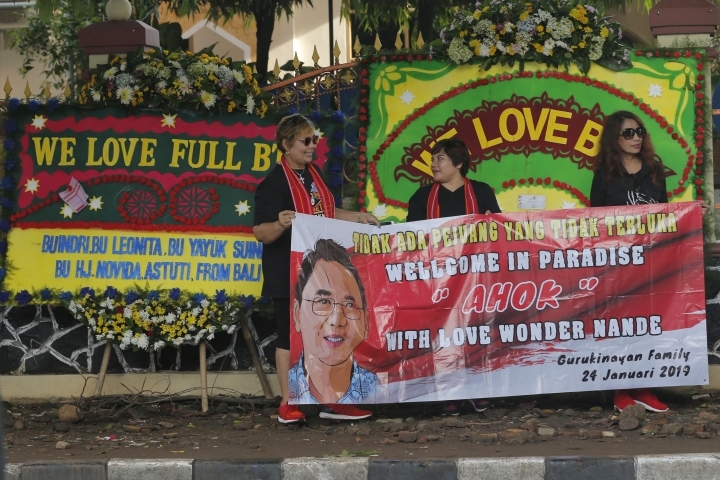 Last week he announced the release of a radical cleric linked to the Bali bombers and other extremists, but back-tracked within days as local and international criticism grew. Widodo told reporters on Wednesday that Purnama, who was his deputy governor before he was elected president in 2014, had "gone through a legal process" and he currently had no plans to meet him. 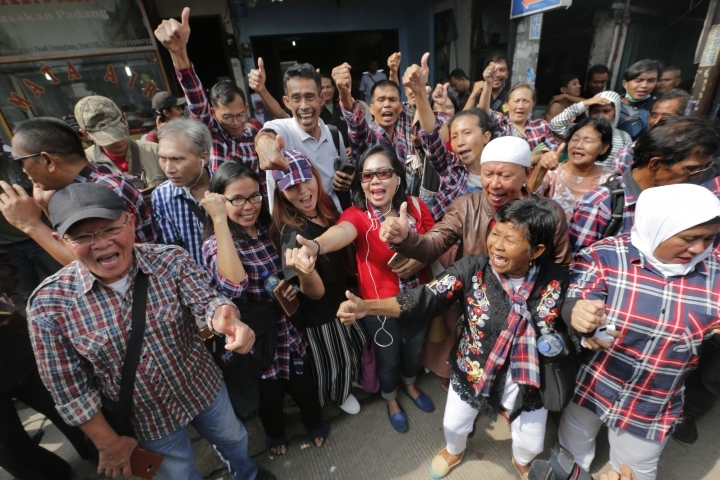 It's unclear if Purnama will return to politics but in a handwritten note posted on Instagram earlier this week he told supporters to not be discouraged and to vote for candidates in April's presidential and legislative elections who support diversity. Islamic Defenders Front member Novel Bakmumin, who filed a police complaint that led to Purnama being investigated for blasphemy, said the former governor should stay out of politics. "I hope Ahok will not repeat a mistake that can cause unrest among Muslims, not only in Indonesia but in the world, because Islam is not his realm to be critical of, he should take care of his own religion," he said. Purnama, part of the tiny ethnic Chinese minority in Indonesia, was popular with Jakarta's middle class for efforts to stamp out corruption and make the teeming capital more livable. But others were angered by his brash outspokenness and the demolition of slums that were home to Jakarta's poorest residents. 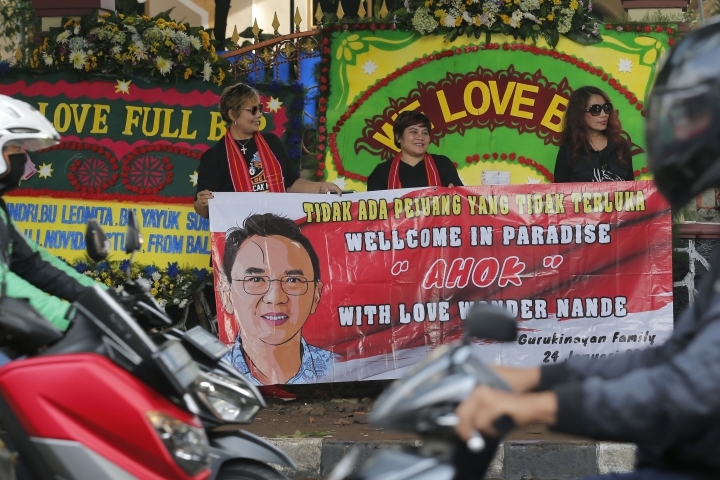 An activist from the Friends of Ahok group said Purnama's true calling is politics and predicted he would "become a leader, whether a leader of a political party or a leader of this country." "He is a fighting politician, he fights against corruption, injustice and upholds order and democracy. That caused many people to dislike him and become his political enemies," said Hasan Nasbi. In an unlikely twist, the 2016 protests also provided opportunists with the impetus for an alleged plot to topple Widodo, the first Indonesian president not from the country's military and political elite. Police arrested numerous high-profile Indonesians, including a daughter of the founding president, accusing them of plotting to hijack the protests to cause chaos. Their apparent aim was to provide a pretext for military intervention that would unseat Widodo. They were later released and have not faced trial.